First, in a food processor combine the avocado, olive oil, lemon juice, salt and basil. Season generously with black pepper and blend until smooth. Toast your bread for about 2 or 3 minutes and then top with avocado spread. Another option would be to chop the basil and add to mashed avocado with the olive oil and lemon juice. Stir in salt and pepper. Spread onto toast. Next, top with a seasoning of choice. I prefer sesame seeds or paprika and if need be, a little more lemon juice. 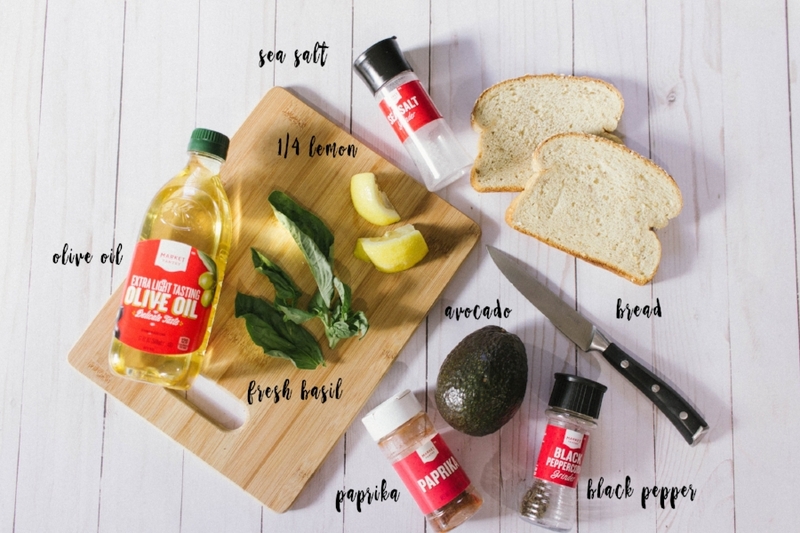 You could even drizzle with olive oil if you want!